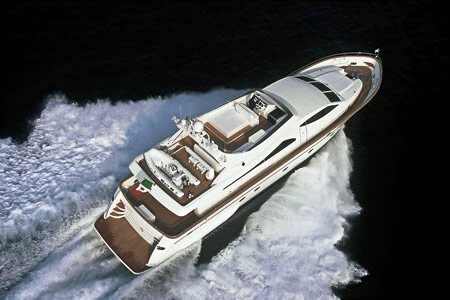 Luxury yacht KINGFISH OF LONDON was built by famous Falcon yachts in 2006 and can accommodate up to 10 guests in 4 cabins. 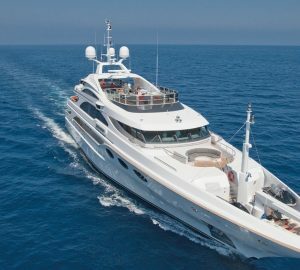 This sleek yacht measures 26.1 meters (85.6ft) and cruises comfortably at high speeds of 26 knots, ensuring her guests make the most of the Western Mediterranean cruising grounds. 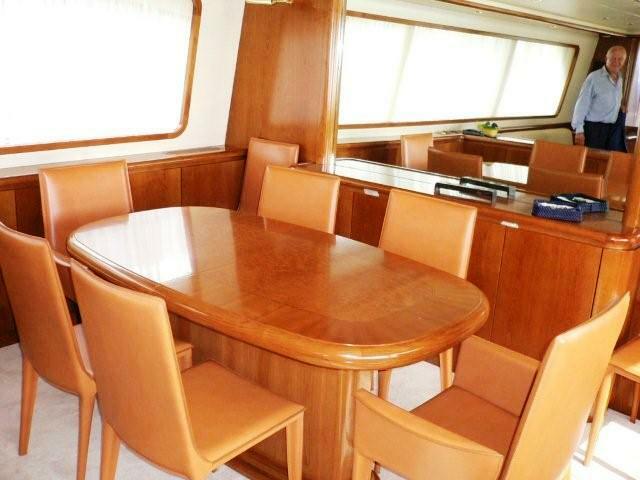 Motor yacht KINGFISH OF LONDON has ample space both indoors with lovely warm toned woods and neutral furnishing and outdoors on her beautiful teak decks. 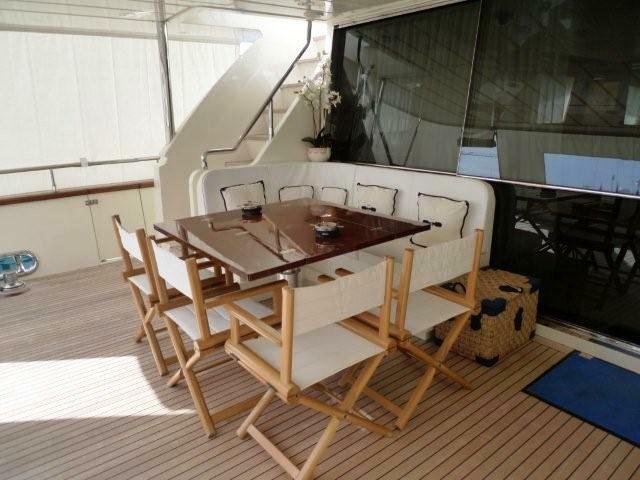 The aft deck aboard M/Y KINGFISH OF LONDON is shaded and offers and alfresco dining option and wonderful place to relax, further aft an extended swim platform allows guests to enjoy the water toys with ease. 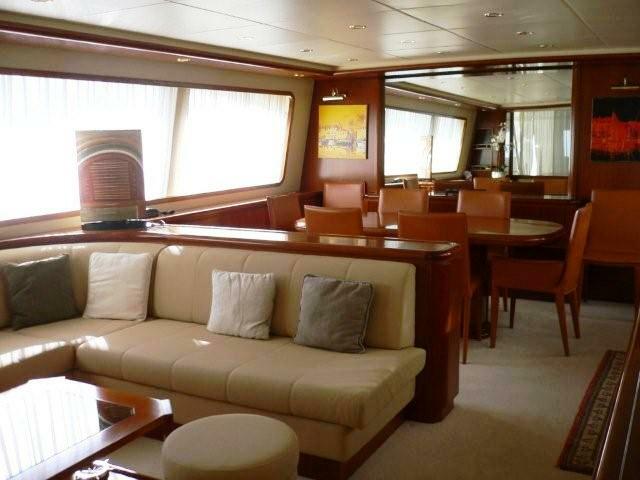 From the aft deck and entering through large glass doors the salon is welcoming and light, a cream toned U shaped sofa and coffee table is on the port side and a TV entertainment system on to starboard. Forward of the salon in an open plan the formal dining space features an oval table with leather chairs. 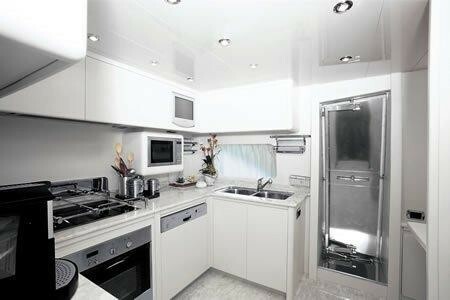 Access via the starboard side leads through to the guests cabins stairwell and pilot house further forward. 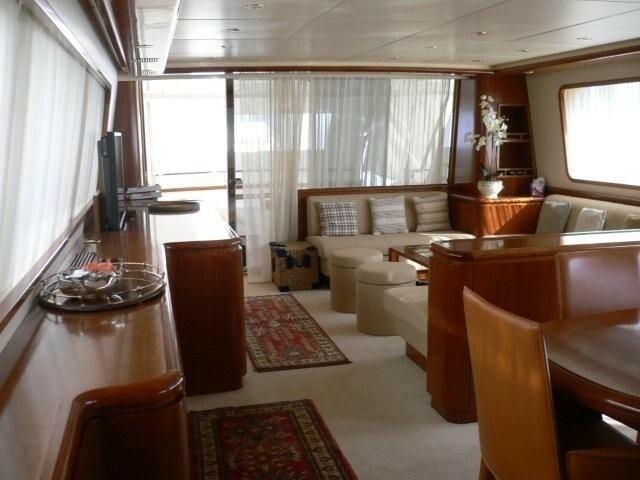 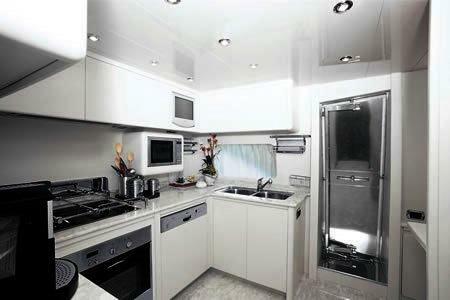 Charter Yacht KINGFISH OF LONDON boasts a large foredeck and sunpads. 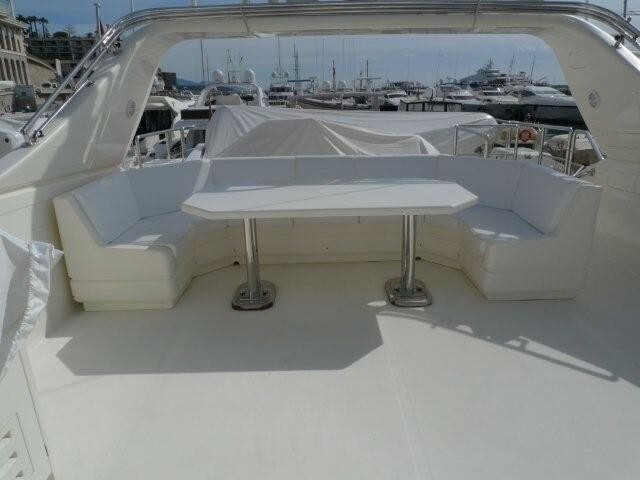 For a more secluded retreat, the flybridge offers an alfresco cocktail table and seating, BBQ grill, further sunpads, additional seating at the helm station and unbeatable views. 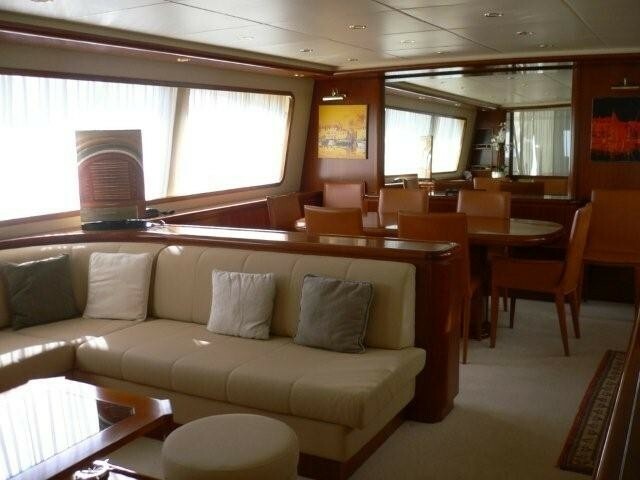 A companion way forward leads into the pilot house; alternatively exterior aft steps adjoin to the aft deck. 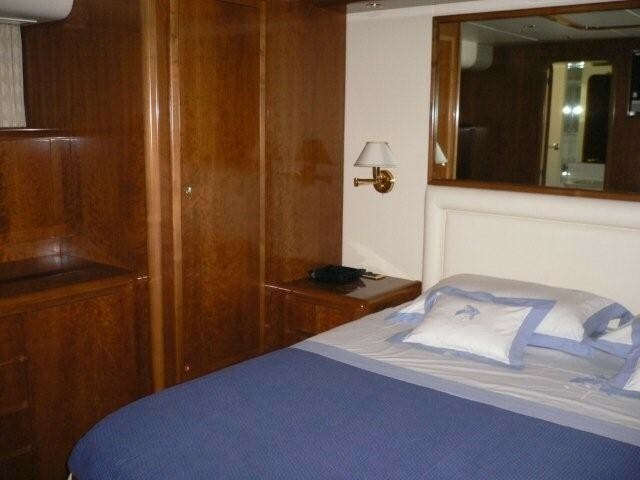 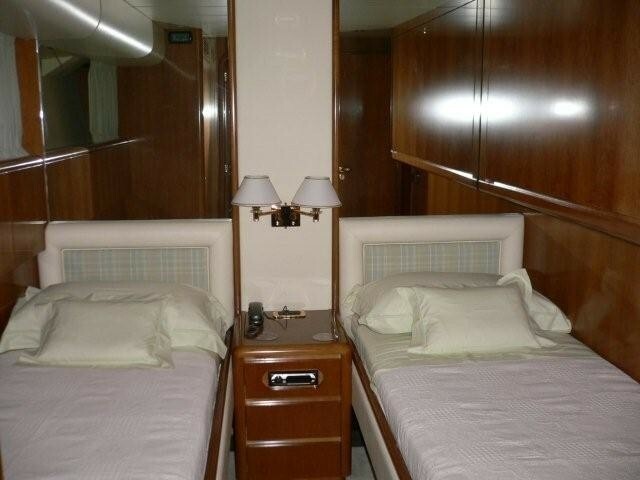 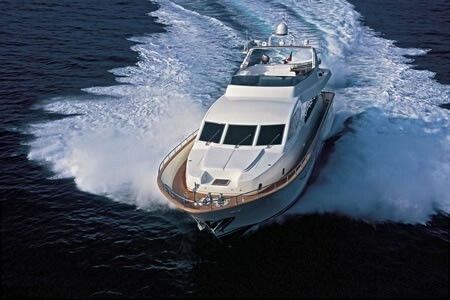 Luxury charter yacht KINGFISH OF LONDON offers 4 en-suite cabins, the master stateroom is amidships and full beam of the yacht with walk around king size bed, walk in closet and his and hers sinks with bathtub. 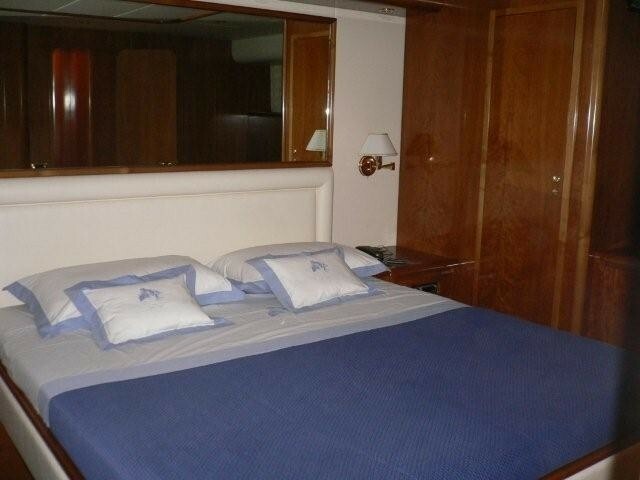 A VIP cabin is located forward and full beam of the yacht with en-suite facilities, while 2 twin cabins are in between and side by side with 2 single beds and a Pullman berth each with en-suite facilities.